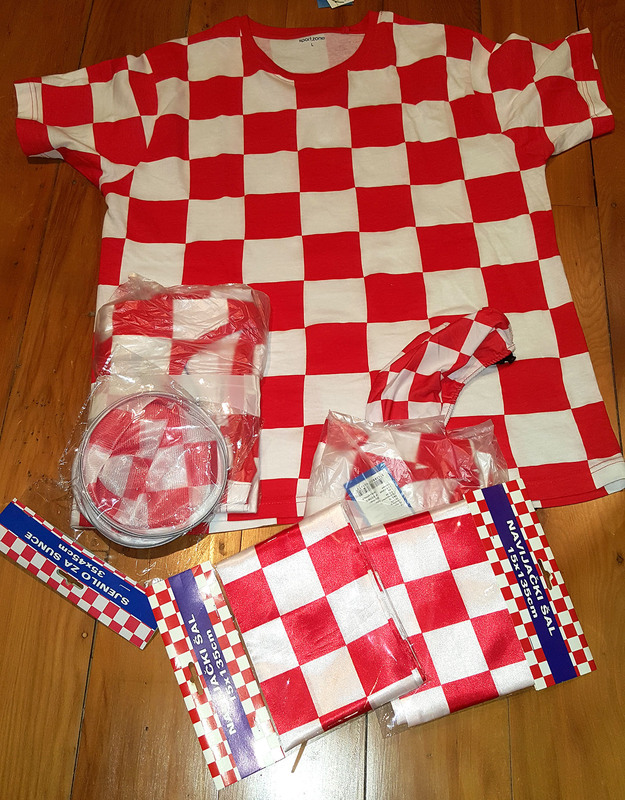 I started writing this blog on my A.L.I.C.E. laptop while I was sitting in Sydney Airport waiting for my flight home to New Zealand after a short business trip to Australia. Although the visit was not Amiga related I still found time to meet up for a lunch with long-time and very active Amiga developer Tony Wyatt and his wife Evelyn. It was good to catch up with them both and we tried not to talk too much about Amigas during lunch. Well almost! Tony and Evelyn treated me to a tasty Vietnamese meal and we promised to meet up again at Amiwest in a couple of months. 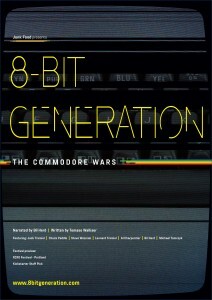 In recent weeks I have watched two excellent but very different documentaries about Commodore and the AMIGA. 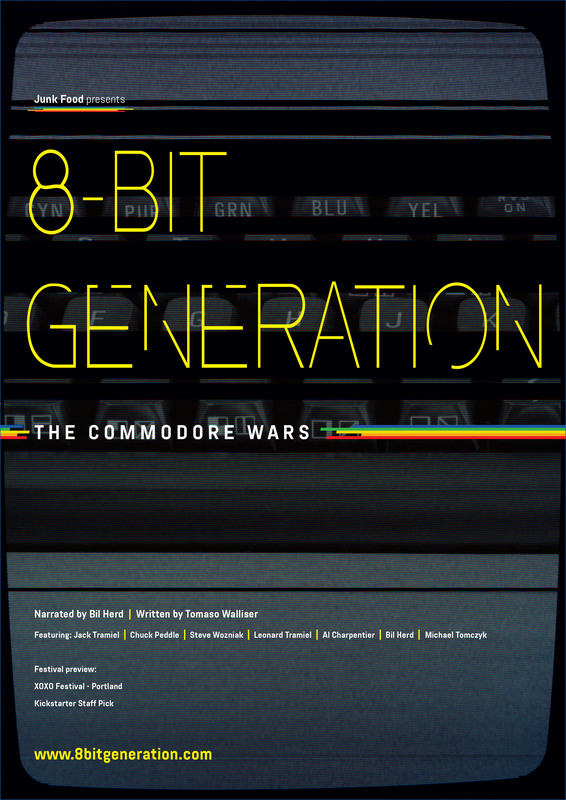 "Growing the 8-Bit Generation: The Commodore Wars" a film written by Tomaso Walliser and narrated by former Commodore engineer Bil Herd and another from the Bedroom to Billions Team, "The Amiga Years". Both documentaries have their merits and are worth watching if you can spare the time (and cash). 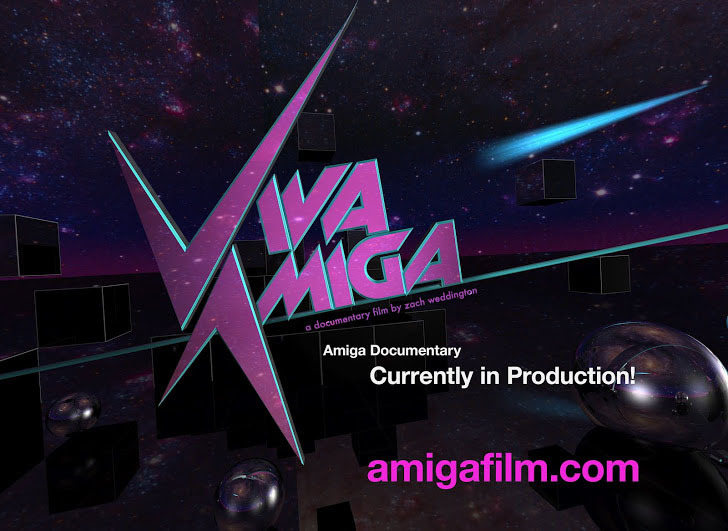 Look out for my review on both documentaries in the next edition of Amiga Future magazine along with my thoughts on the "Viva Amiga" movie which is finally due for release in the coming month. Also in the same edition is my next installment of Classic Reflections and features the contribution made by Alan Redhouse and the Eyetech Group to the Amiga's success. 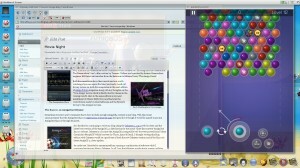 Sometimes I receive a few comments that I don't include enough AmigaOS4 content in my blog. 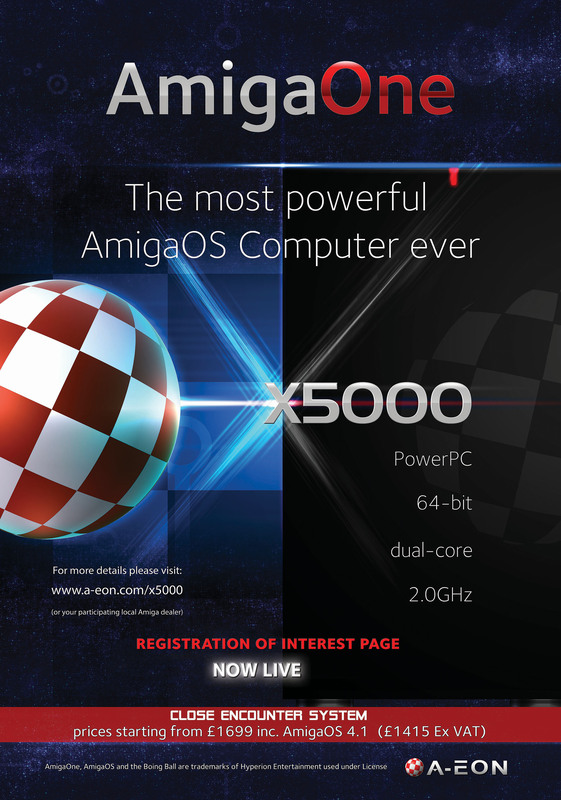 With the recent announcement that the AmigaOne X5000 registration of interest page had gone live I thought it would be good to put my AmigaOne X5000 through its paces. So I decided to continue writing this blog using the Odyssey (1.23r4) web browser and the latest beta version of the AmigaOS 4.1 distribution for the initial "Close Encounters" AmigaOne X5000 release. 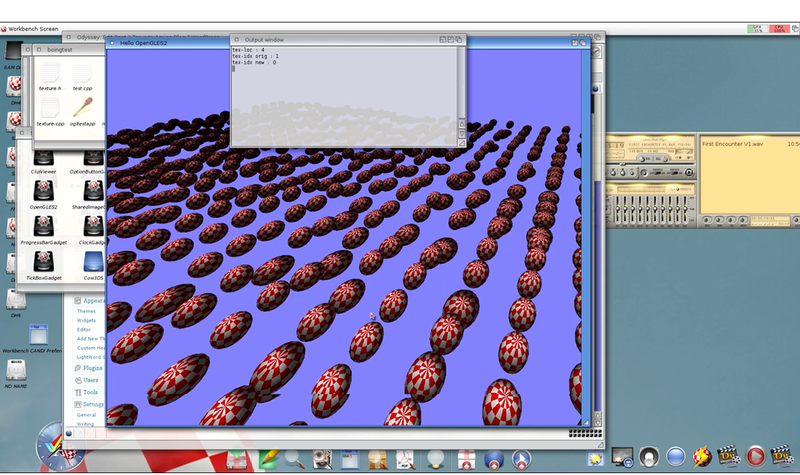 Odyssey is of course the AmigaOS4 compatible web browser ported from Fabien Coeurjoly's MorphOS Webkit browser by Thore, kas1e & Deniil. 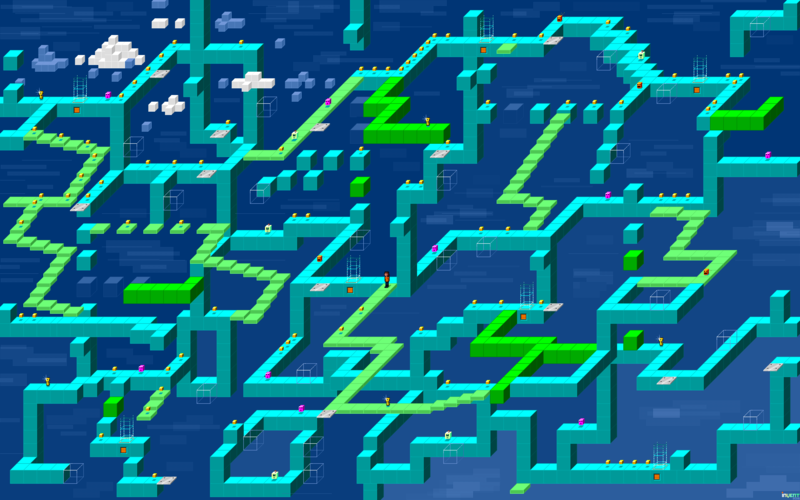 I thought writing this update with Odyssey would be a good test of both the new Odyssey version and the X5000's latest AmigaOS 4.1 beta update. How did it all work out, I can almost hear you asking? Watch the video to see how much hard work and effort I put into writing my blog and playing with testing my AmigaOne X5000 system. 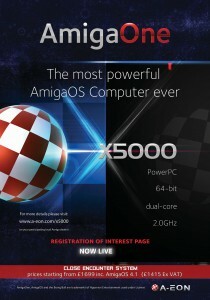 😉 I'm also pleased to report that registrations of interest in the AmigaOne X5000 are coming in thick and fast. Of course not all will convert into system sales but it's still gratifying to see the amount of interest that the AmigaOne X5000 is generating. 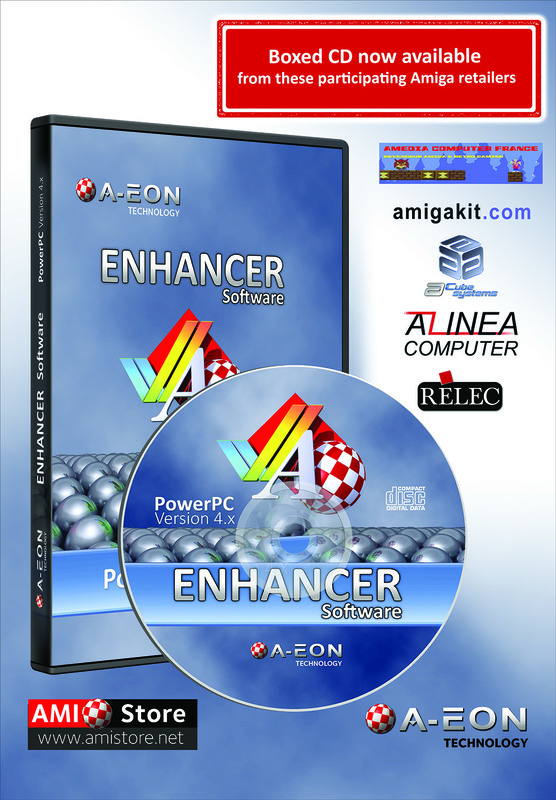 No I don't mean extra sensory perception, although I think my wife has too much of it for my liking 😉 I'm talking about the recently released Enhancer Software Pack for AmigaOS4.1. Since my last blog Matthew Leaman and the A-EON developers have been hard at work on the version 1.1 update which includes a number of cool new features as well as updates to many of the programs and utilities. Also included are the latest version of Warp3D Nova (v1.28) and OpenGLES2 (v1.2) which performs 30% faster than the earlier version. 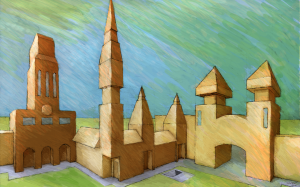 In fact as I was typing this blog Warp3D v1.29 update came through for beta testing from developer Hans de Ruiter and shortly afterwards Daniel Müßener posted details of OpenGLES2 v1.4 which now supports stencil functionality and general mipmapping. Both updates will be included in the final ESP v1.1 release. Registered owners will be able to download the ESP v1.1 free of charge from AMIStore and again both Standard and Plus editions are available. 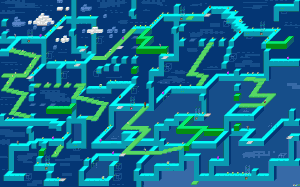 Work is also continuing on the 68K ESP version and release information will be provided in the near future. 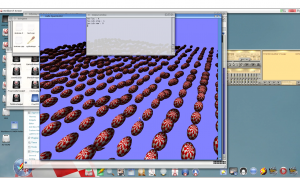 While I was writing this blog I logged into the AmigaWorld.net OS4beta channel on IRC using my AmigaOne X5000 and found myself discussing the merits (or otherwise) of Brussels sprouts with AmigaOS4 Team Lead, Steven Solie. If you have seen any of A-EON's news releases over the past few years you will know that much of the superb artwork in our adverts and posters have been created by Amiga graphics artist Kevin Saunders. What you probably don't know is that Kevin is also an AmigaOne X5000 beta tester and recently set up his AmigaOne X5000 (with the help of fellow Australian Tony Wyatt). "Since joining the X5000 Betatester team I have been very keen to install both PPaint and SketchBlock. 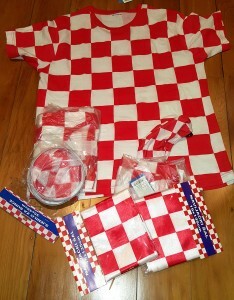 It is the memories of the past using my second favourite computer the "Amiga A1200" and dabbling with pixel work way back in the early 90's. 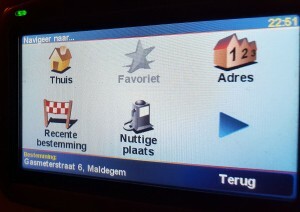 To have a choice of 24bit painting or Indexed palettes at high resolutions is fantastic. Can't wait to push a few more pixels on the Amiga once again. Running at HD resolution of 1920x1200 is a dream."